Companies must determine if their resources and capabilities align with their expansion strategy. 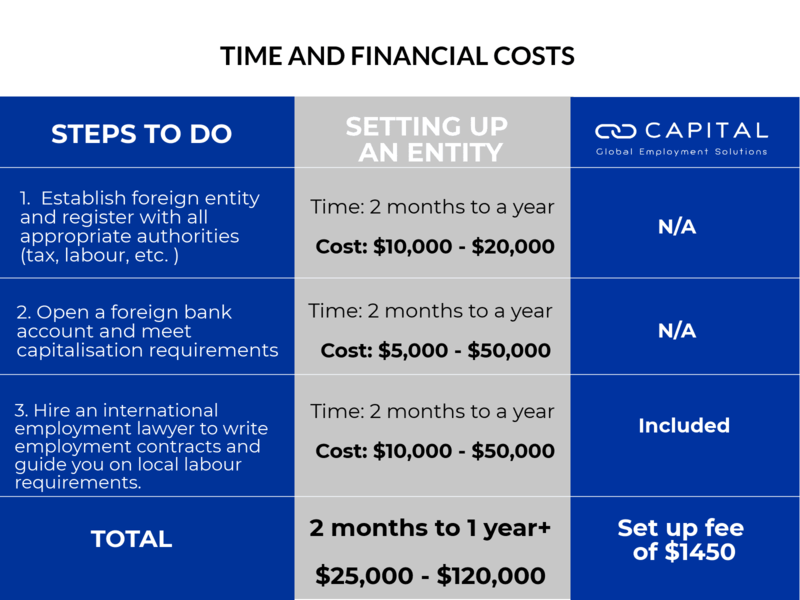 See our comparison table below for the time and costs associated with setting up a foreign entity or using an Employer of Record (EOR) provider. How Capital GES can help your business? 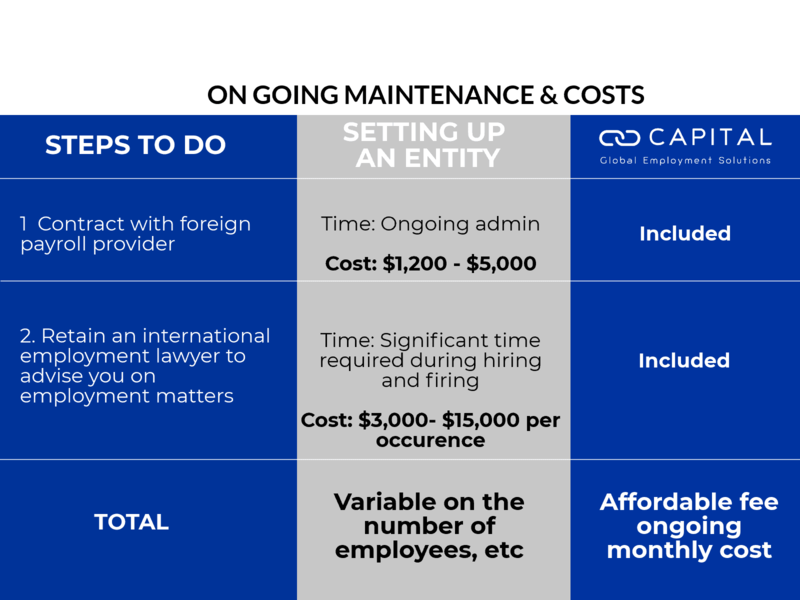 If you are thinking of expanding your business and looking to hire internationally, contact us at info@capital-ges.com or phone +41 32 732 9700 to see how we can help.